Balloons with incendiary devices land next to kindergarten in southern Israeli town. A cluster of balloons tied to an incendiary device landed next to a kindergarten in southern Israel near the Gaza Strip Friday morning. 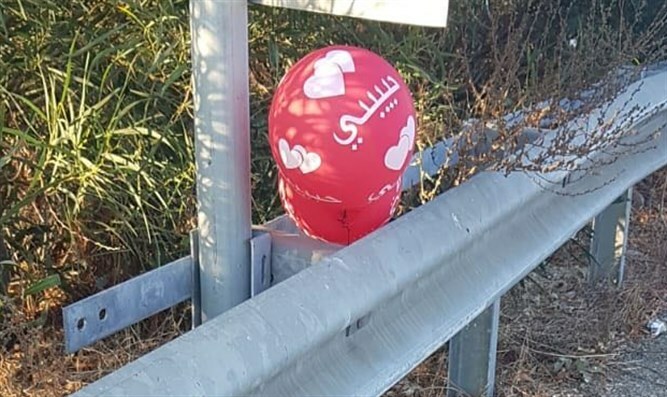 According to a report by police, the balloons landed in a town in the Sdot Negev Regional Council in southern Israel. Police units were dispatched to the scene, and a bomb squad disarmed the incendiary device attached to the balloons. The incident Friday is the first of its kind in weeks. Earlier this year, tens of thousands of balloons and kites carrying incendiary devices were launched from the Hamas-ruled Gaza Strip towards Israeli territory, causing millions of dollars in damage to Israeli agriculture in border communities.